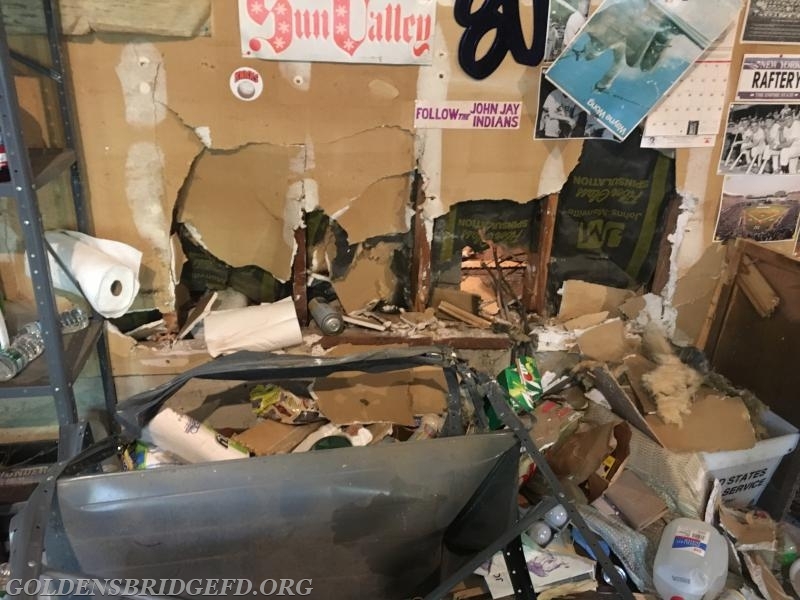 Just before 3 o'clock on Friday afternoon, Golden's Bridge Fire Dept was dispatched to a report of smoke in a garage with someone in the garage. Car 2141 was the first to sign after dispatch. 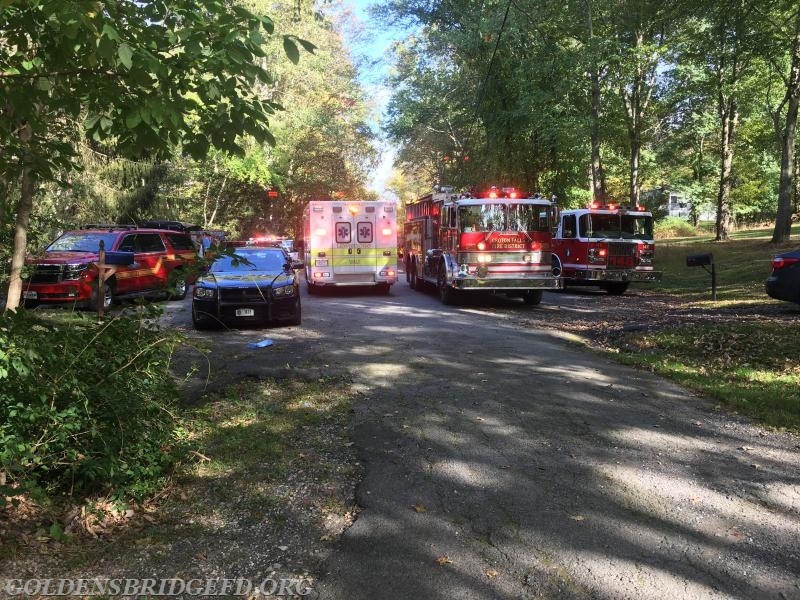 Once responding, he requested Croton Falls on a Full Department response as a precaution. 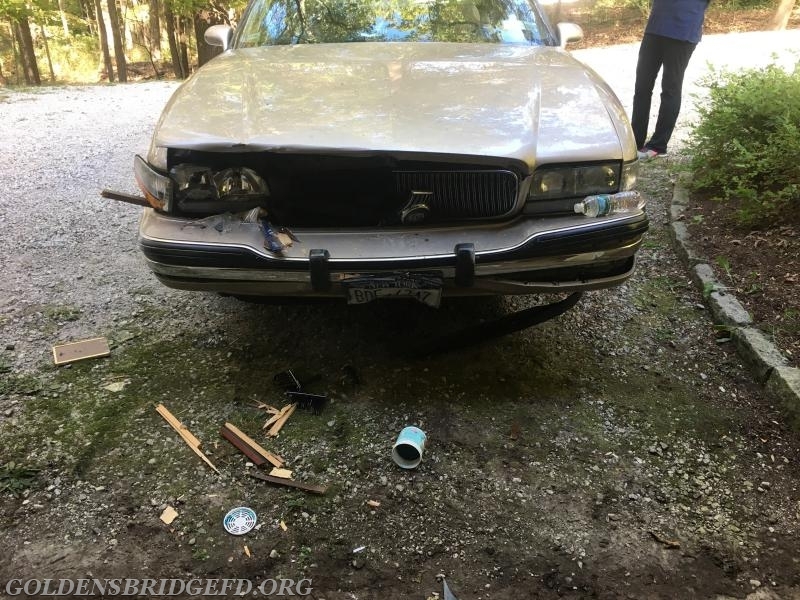 While Golden's Bridge units were still responding, an update from South Salem Car 2453 came in. He reported that there was no house fire, but instead a car into a house. During this report, he also requested EMS. Upon rescue 25's arrival, Car 2149 established command of the incident. 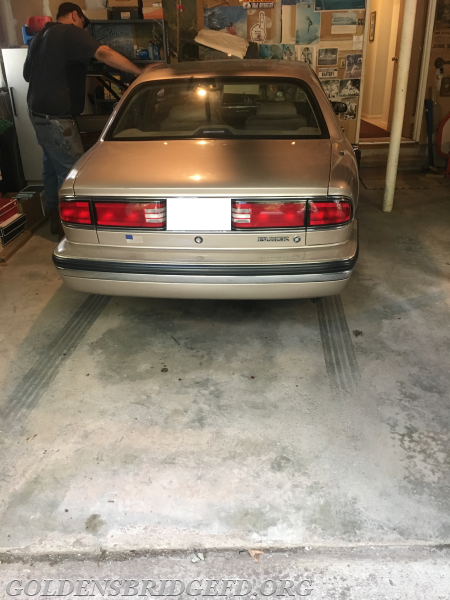 A size up was made, and found to be a single car that had crashed into the garage wall. 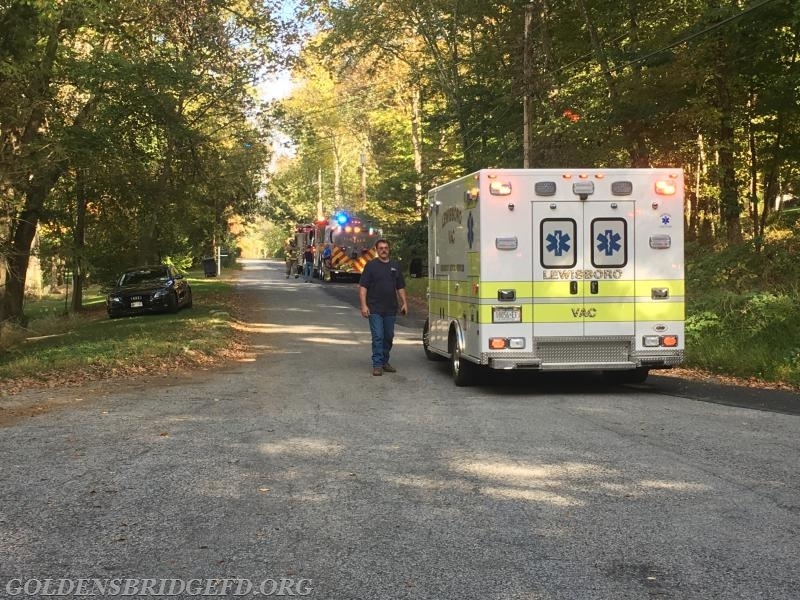 The driver of the vehicle was in the care of a Golden's Bridge Firefighter/EMT. 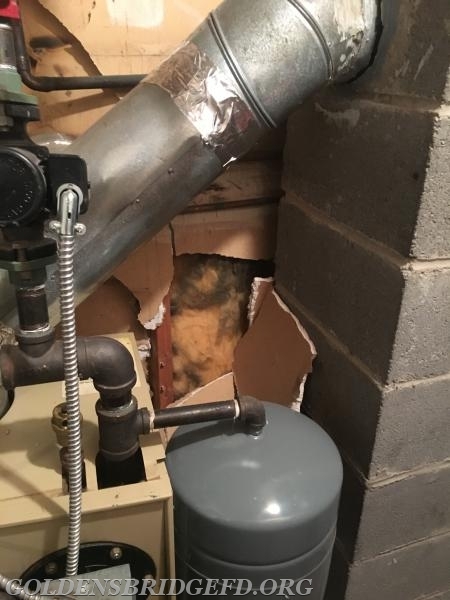 The vehicle hit the wall with such force that the wall had been partially destroyed, and the boiler on the other side of the wall had been pushed forward. 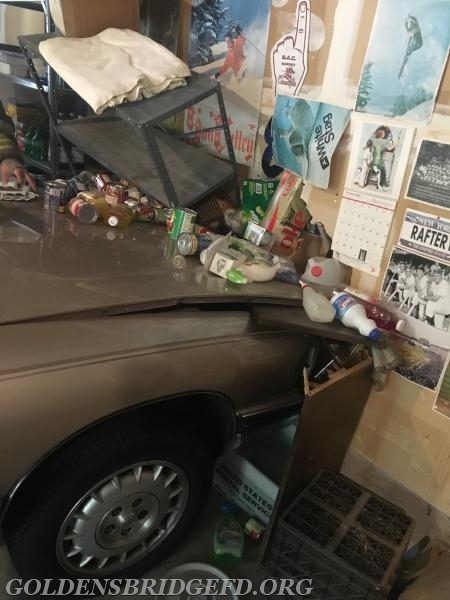 Upon arrival of Car 2142, he assumed command of the incident. Crews checked the building for further damage. There was a smoke condition in the residence caused by the vehicle, so crews went to work venting the structure. Upon the arrival of Car 2141, he assumed command and Car 2142 assumed the roll of operations officer. The driver of the vehicle was taken by ambulance to a local hospital as a precaution. 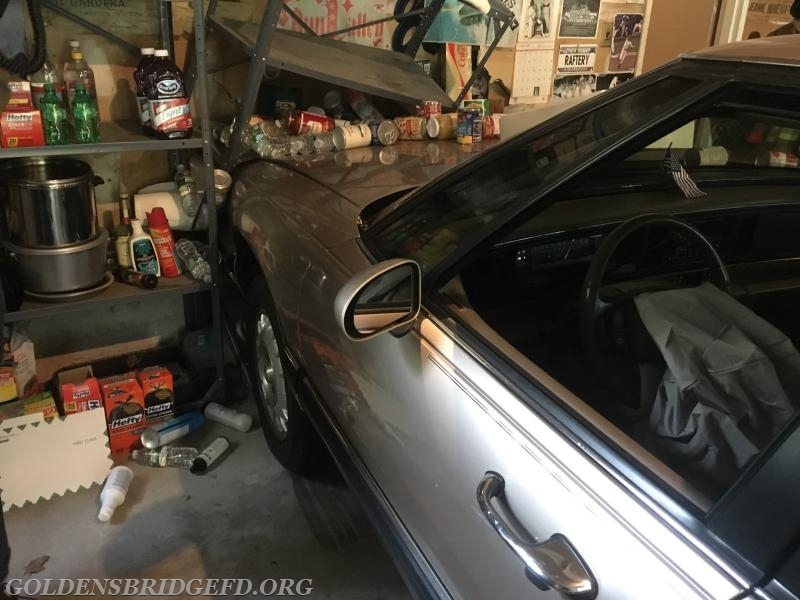 Once the vehicle was removed from the garage, Golden's Bridge Fire units turned the scene over to the homeowner. Units: GBFD-Car 2141, Car 2142, Car 2147, Car 2149, Engine 140, Tanker 1, Rescue 25. The impact from the crash. Another view of the impact of the crash from the other side. A view of the car from behind. 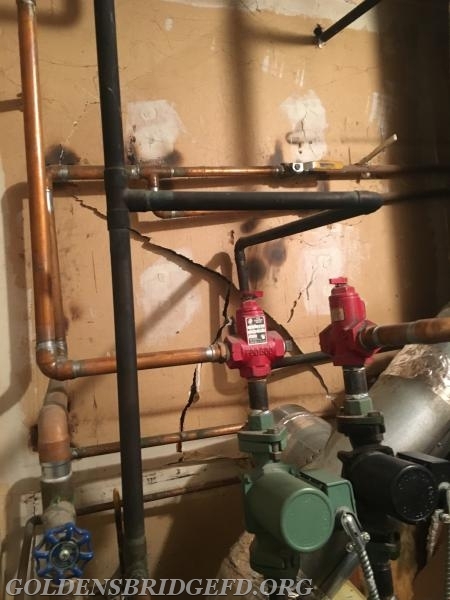 The damage to the boiler room. 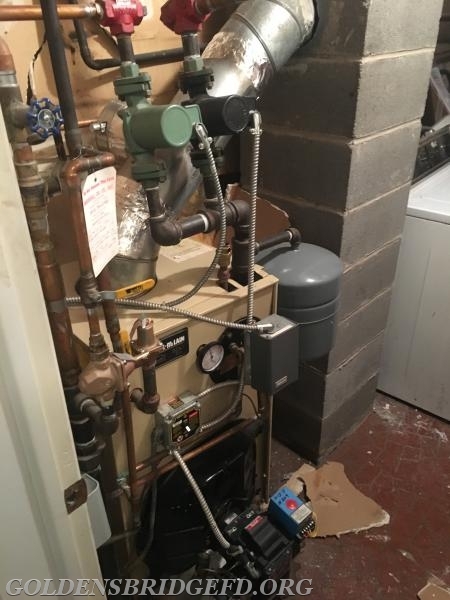 Another view of the to the boiler room. Another view of the damage to the boiler room. A look up the road showing emergency vehicles operating. Another look at the emergency vehicles operating. The damage done to the front of the car. The wall that was hit, showing the damage once the car was removed.